The vitality plunge pool, amethyst crystal steam room and zen colour therapy relaxation area are all part of the experience at The Spa at the Mandarin Oriental. No plain old relaxation area here - the 'aen' part means you get to chill out under lights that change colour so improving your mood - it's the perfect quiet spot to relax between therapies while sipping on perfectly chilled mint flavoured water or calming herbal tea. The spa offers a full menu of treatments, including a number of signature massages, facials and journeys. There's an Eastern influence with treatments focusing on holistic principles where your whole lifestyle - not just your skincare routine - is taken into account. The Mandarin Oriental has a worldwide reputation for five-star elegance and this is the only place in the UK where you can sample how that translates into a spa. Utter Bliss. 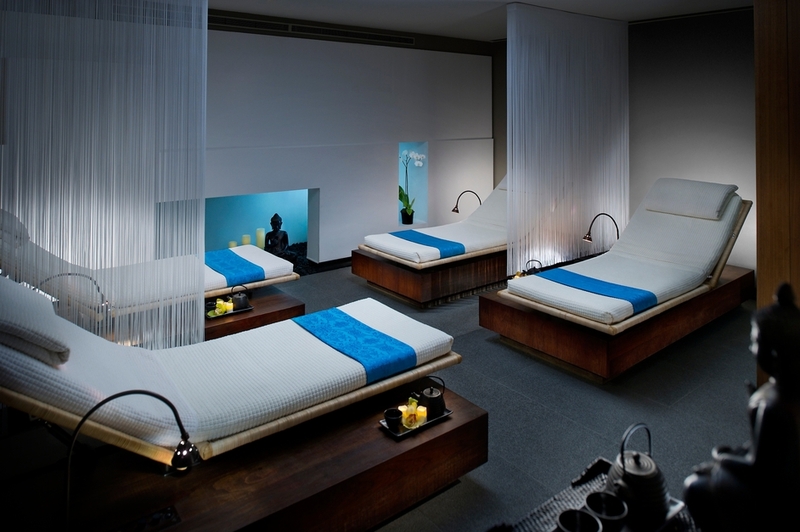 The Spa at Mandarin Oriental gyms, sporting activities, health & beauty and fitness. What are the best dining options near The Spa at Mandarin Oriental London? The best pubs near London The Spa at Mandarin Oriental. The Spa at Mandarin Oriental clubs, bars, cabaret nights, casinos and interesting nightlife. Where to have your meeting, conference, exhibition, private dining or training course near The Spa at Mandarin Oriental. From cheap budget accommodation to luxury 5 star suites see our discounts for The Spa at Mandarin Oriental hotels, including The Levin Hotel London from 0% off.